This review could ultimately lead to some form of reduction or cap on card fees paid by businesses, which would be very welcome in this tough retail environment. The PSR was established in 2015 to promote competition in the UK’s payment systems and ensure they worked in the interests of the businesses and consumers who use them. The review of the acquiring market was sparked by concerns expressed by “various stakeholders”. The PSR lists out six specific concerns and whilst there are a few which appear to be non-issues I agree with them on the whole. The more salient point, though, is that all six concerns only really affect SMEs as larger corporate customers can mitigate each issue. This statement is demonstrably true. Our blog posts in 2015/16 quite clearly evidenced that whilst acquirers passed on in full the debit fee increases, they only passed on around 1/3rd of the credit fee decreases. This was borne out both by analysis of fee letters provided to us by merchants (click here and here) and analysis of WorldPay’s 2015 accounts and 2016 accounts. These show the extent to which their profitability was boosted by these retained interchange benefits and is undoubtedly indicative of the financial benefit for the wider acquiring market to the detriment of its SME customers. The key point is that it is only SMEs who suffer from the lack of interchange benefit pass through. Larger merchants are priced on what is called Interchange Plus pricing and automatically receive the benefit. But so what? Where does it say that businesses must automatically, and in full, pass onto customers the savings they realise in their supply chain? Well, nowhere! And regulatory intervention to achieve such a thing would be very worrying. But this does emphasise two points. The extent to which the market is compromised by the dominant market share of WorldPay and Barclaycard, which have a combined market share of approximately 80%. These two acquirers set market pricing and when they choose not to pass-on benefits then the rest of the market follows. Again, this is demonstrably true and is the very reason I started Cardswitcher. If you compare card acquiring to mobile phone tariffs, market pricing shrouded in secrecy and only disclosed if you ask in the former and is readily and publicly available from every provider in the latter. Furthermore, fees are generally not easily comparable amongst acquirers. For example, each acquirer has a slightly different definition of non-secure (for a full analysis on non-secure fees, see our blog post here), some treat business debit differently, others charge premiums on consumer credit cards and PCI non-compliance fees remain a minefield across the entire market. This makes the process of shopping around nigh impossible for time-scarce small business owners. Large corporates, on the other hand, have the resources and expertise to make comparisons as part of any re-tendering process and acquirers bend over backwards to help them in that process — unlike their support to SMEs. Other than the transparency and comparability issues noted above, there are other barriers for SME’s in switching. The key barriers are as follows. Terminal contracts are one obvious issue with their high termination costs and minimum monthly charges. Acquirers usually also rent terminals to merchants. When acquirers raise acquiring fees, they normally trigger the merchants’ right of termination because of a material change of the acquiring contract terms. However, that right of termination doesn’t extend to the terminal contract so merchants can only really terminate if they re prepared to pay the terminal termination fees. The acquirer does not allow them to keep the terminal and use a different acquirer. For eCommerce merchants, similar to the terminal issue above, some acquirers sell their own payment gateway alongside acquiring services and do not permit the merchant to continue to use the payment gateway without using their acquiring. Merchants then need to go through a painful technical integration exercise with a new payment gateway if they wish to switch acquirers. A real barrier that exists in offering a comparison service to help merchants switch is the resistance of the acquirers themselves to participate in such a service. Research shows that card acquiring is a ‘sticky’ product with the average merchant staying with its incumbent acquirer for five to six years. Therefore, it is not in the acquirers’ commercial interests, currently, to support comparison or switching services as that will undoubtedly shorten their customer life and value. Thats not to say that when comparison services gain more traction (and they will) it will be in the acquirers’ best commercial interests to be on comparison services – the time has just not quite arrived…….yet. Furthermore, research demonstrates that the longer a merchant stays with an acquirer, the higher their fees become due to regular annual price increases. So a large proportion of merchants are paying above market rates for their card acquiring. Acquirers know that if they participated in a comparison service and made public the rates they offer new merchants, this would come to the attention of their existing merchants who would no longer pay inflated premium rates. At Cardswitcher we get around the issue of acquirer participation by partnering with ISOs who are more prepared to disclose pricing and compete on price. We’re not sure to what extent this is material. Scheme fees used to operate on a tiered basis where the acquirers with the largest volume received the lowest scheme fees. We had believed that the card schemes (MasterCard and Visa) had now introduced a flatter fee system to create more of a level playing field but perhaps there are still some volume aspects. Visa Europe, in particular, used to offer significant rebates on its Visa debit scheme fees for increased volume but that was removed in 2016 when it was acquired by Visa Inc. This is also undoubtedly true but again I’d question the materiality. In recent years, we’ve seen scheme fee increases of 40%–100% depending on the card type. More importantly, each time the card scheme’s increase fees, acquirers use this as a profit opportunity and pass on increases greater than the scheme fee increases they themselves have experienced. This point is reasonably complicated so check out our deep dive on the subject here. However, it’s important to note that card scheme fees are still a small component of the total fee a merchant will pay to process a card. 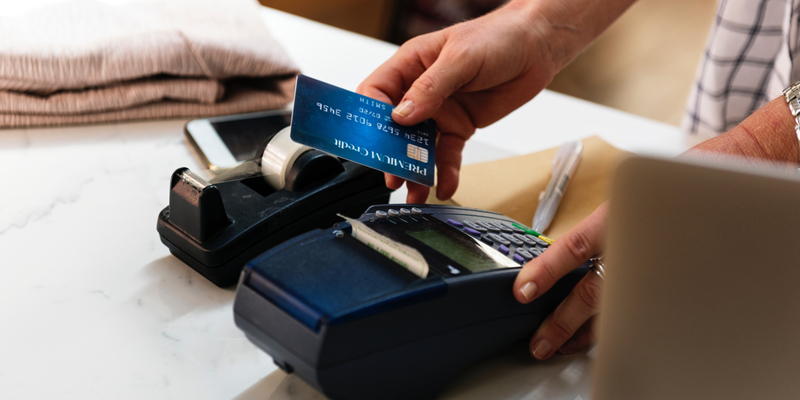 Card scheme fees are typically 0.02%–0.04% of transaction value whilst interchange is 0.2%–0.3% (consumer cards) and acquirer’s processing margin is 0.2%–0.7%. So the card scheme fee accounts for less than 5% of the total charge a merchant pays to process a card. The regulator’s time would be better-spent focussing on the acquirers’ margin which is now the largest single component part of the total acquiring fee. The deadline for comments on the scope of the regulator’s terms of reference (TOR) has now passed and we await their next pronouncement on that final TOR, next steps, the timeline for publication of their findings and importantly what actions they might recommend. The big question is whether merchants will actually see a decrease in prices or a cap on these prices following the regulator’s review. It would seem unlikely but perhaps they will take some action to lessen WorldPay and Barclay’s stranglehold on the UK market. It would be no bad thing, for example, if the regulator forced Royal Bank of Scotland to publicly tender WorldPay”s referral contract which is currently due for renewal and consider similar measures for Barclaycard’s relationship with its parent bank Barclays (which is admittedly difficult). See the Payment System Regulator’s full consultation here.